Back in September, I gave a high rating to An Anonymous Girl by Greer Hendricks and Sarah Pekkanen. For some reason, even though I was getting so many people telling me that "I have to read their other one! ", I had never gotten around to it. My mistake. 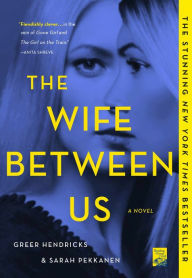 Their previous novel, The Wife Between Us, is filled with some of the best twists I've ever read, and I thoroughly enjoyed devouring every word. The book jacket warns us from the start that we should assume NOTHING. On the surface, Richard seems like the most stellar guy imaginable. He is set to marry for the second time, and part one alternates point of views between his new fiance and his ex-wife. But again, assume NOTHING. The twists come at a breakneck speed, and your mouth will be left agape. As far as I'm concerned, Hendricks and Pekkanen are a dream team. 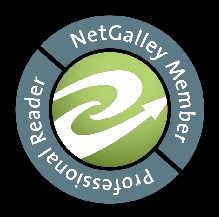 Their character development is impeccable, and together, they write some of the most addicting mysteries in publishing today. Don't miss The Wife Between Us!